The view is relative and depends on the interest of the observer. If you like the colorful urban scenery then the view from the Acropolis is the most suitable for you. But if you like watching the antiquities, then the view from the museum is ideal. For the Parthenon’s sculptures, it is certain that their proper position is on the monument itself. Nevertheless their delicate carvings because of the continuous pollution, became more and more rough during the years. So the archaeologists decided to remove them and put copies in their place. Today we are fortunate to see the sculptures from so close at the museum since when were on the monument were at 15 meters height. So even though the sculptures are the same either in the museum or on the rock, the Museum wins because you can see them closely. Here the competition is great because even though the coffee is forbidden either on Acropolis Hill or in the museum, the 2nd has a restaurant that you can enjoy a Greek coffee! So, while it seems that the museum’s cafe is winning. practically when you sit down on its big balcony having the museum on your back the only thing you can admire is the Acropolis view. However, if you believe that drinking a good coffee is related with whom you are going to share it then find a good company and enjoy your coffees together! The sun for Greece is what is chocolate in the sweets and both can knock you out. 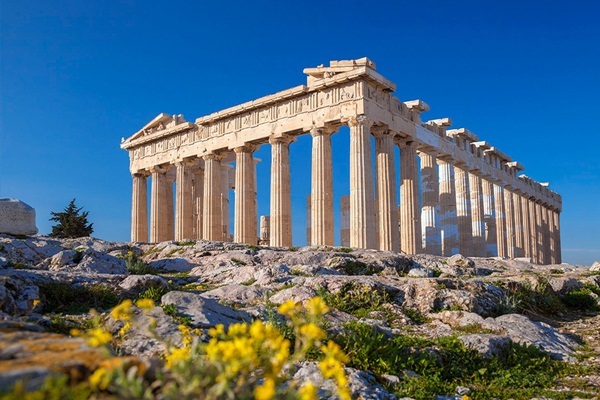 This was something that the ancient Greeks had understood since they built the Parthenon with white Pentelic marble. It might have been the reason why they chose to paint the marbles. Even though today, the colors have faded and left an almost white pattern on the monument, at noon especially in summertime, is blinding and it definitely cannot be compared to any other shine. So undoubtfully I believe that the Acropolis Hill wins! 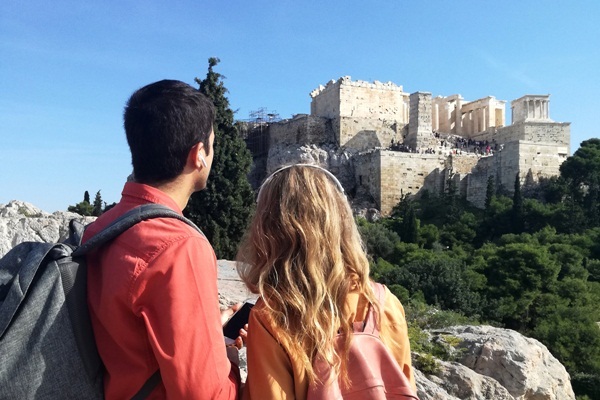 Tips: Do not forget when you visit the Acropolis to take with you: hat, sunglasses, a bottle of water and wear comfortable athletic shoes the hill is slippery. Undoubtedly the museum wins. Not only in every festive period but also during important anniversaries, hosts musical and dancing events in his open space under the moonlight. While conferences, presentations and meetings are held inside at the museum’s big amphitheater. Tip1: The free music – dancing events usually attract a lot of people so make sure you get there on time so as to secure a place on the stairs. 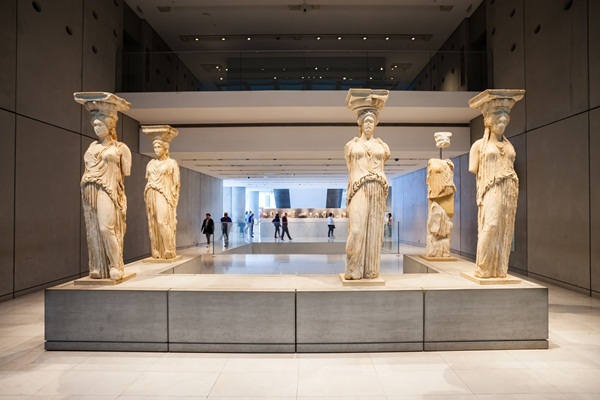 Tip2: For those who will be in Athens in August do not forget to visit the museum to enjoy the full moon from there. 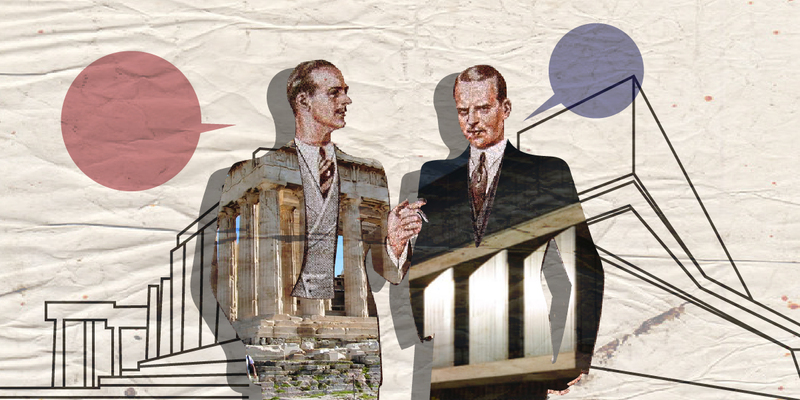 Keep an eye because our Acropolis Museum Audio tour is coming soon!